$3 OFF A Works Wash Package (Gold Dust Special). $6 OFF Any Express Detail Package. 10% OFF Reel Fishy Merchandise. Full Service Wash Package OR Express Detail Package! Using your mobile phone, text BCW to 51660 for weekly text specials and receive your $3.00 savings off ANY Full Service Wash Package or Express Detail Package instantly! $3.00 savings good for one use only on packages $16.99 or more. Excludes Express Exterior Wash Packages (Good, Better, Best Value Washes). Remember, your Tenth Full Service Wash is FREE! Our computer systems know when you purchase your tenth full service package wash, you receive a complimentary one on us. And, it occurs each tenth time you purchase one. We look forward to seeing you again soon! Please note, this special is only available for Full Service Wash packages, and not Express Exterior Wash packages or Express Detail services. Each quarter, the Beaches Car Wash Customer Spotlight features a valued customer sharing their thoughts on our services. 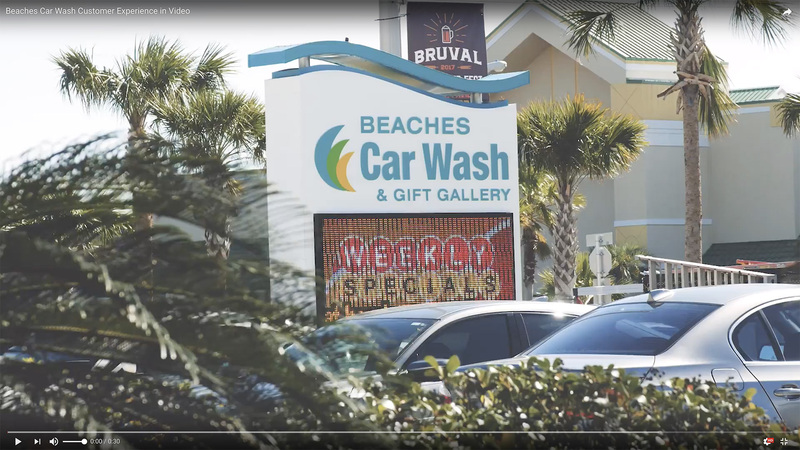 This quarter, BRDaniels talks about the great gift selection at Beaches Car Wash and Gift Gallery in Jacksonville Beach. 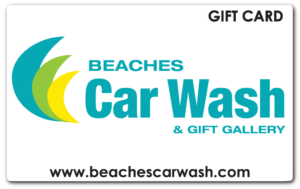 Every time you visit Beaches Car Wash you do your part in helping the environment? Read more here, and visit our News page for more articles, updates, and events. Awesome! From the customer service to the car wash, I was impressed! It was my first time there and I will now be a regular. Thanks for making a tedious errand enjoyable!  — Ben F., Aimee L., Lisa S.
They do a MUCH BETTER job! Neighbor thinks I got a new car! 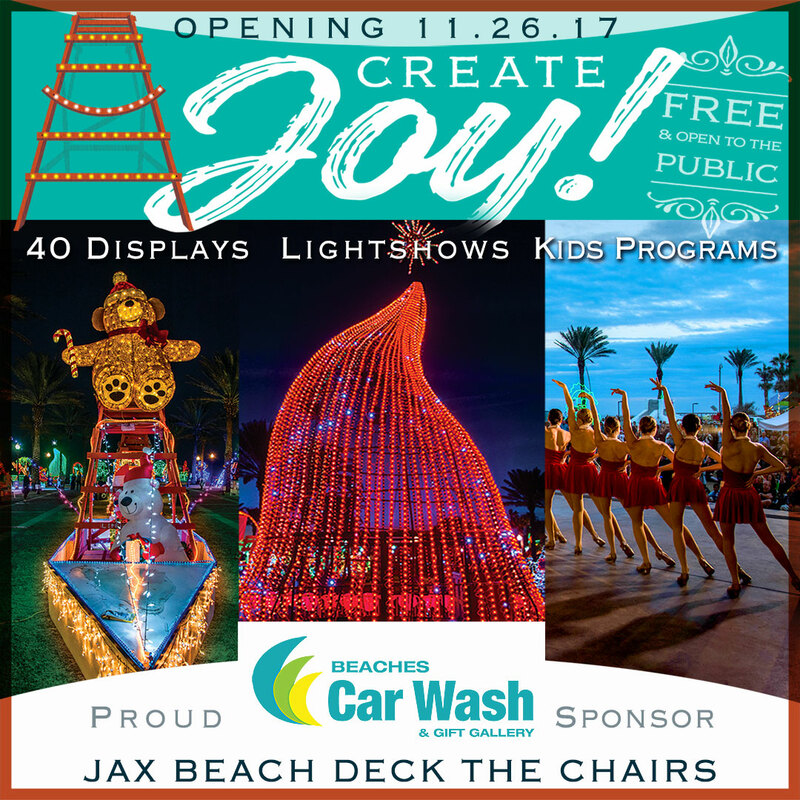 Did you have a great experience at Beaches Car Wash? We’d love to hear about it! Please leave us your 5-star review on Facebook or Yelp. We offer Rechargeable Gift Cards that can be transferred and/or recharged at your convenience. Visit our Gift Gallery or contact us to get your Rechargeable Gift Cards today. **Gift Cards cannot be combined with any other offers.